Ellen Renner’s description of Storm and her mother returning home in her new book Storm Witch took me straight back to my own childhood and the home where I lived with my mother. I have as good a memory of that time as can be expected at my age, but I have never before had that exact feeling conveyed in a piece of writing. People sometimes ask if the writing in a book is good, and I don’t always know. This time though, I can tell you it is very good writing. I feel as if Ellen gave me back something I’d lost. Storm is 13 and it’s time for her age group to be chosen by the island’s Elementals. They determine what the young person will be doing for the rest of their life. It’s the usual drama; you fear you won’t be chosen at all, or that it will be the wrong choice, or that you will disappoint your family. Storm does too, and then she’s chosen by more than one of the Elements. Being special isn’t much fun, either. And it doesn’t prevent the bullying. You might be the most powerful person on the island, but your bully still hates you. 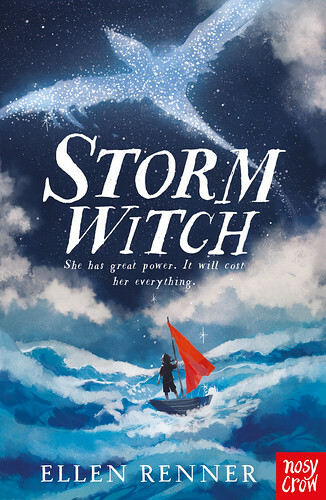 The story is a mix of the normal childhood feelings most of us have, and then there is the magic, and the difficult tasks Storm has to tackle. There are more books to come. I can guess at where Ellen will take her characters. I’ll be interested to see if I’m right. This entry was posted in Authors, Books, Reading, Review, Writing and tagged Ellen Renner. Bookmark the permalink.